Be the first to share your favorite memory, photo or story of Harrel. This memorial page is dedicated for family, friends and future generations to celebrate the life of their loved one. Kelseyville, Lake County California from complications from a stroke. Don was born in Bonnie Blue Virginia January 06, 1936 to Charles and Pearl Spangler. Don was the 7th of 13 children. He soon moved to Harlan County Kentucky where he lived with his family. At 16 he left home and worked at steel mills in Ohio until he joined the Air Force. He enlisted in the Air Force in 1953. His first station was in Luton England at Chicksands RAF base. This is where he learned carpentry skills that would later be his favorite hobby. While stationed in England he decided to go on a double blind date. He did not end up with his original date Jean but left with Julia. Julia John and Don Spangler where married on July 19,1956 they celebrated 63 years of marriage in 2018.They had two children Deborah Spangler-Welch and Dale Spangler. Don left the Air Force after 14 years and became an Air Traffic Controller. In his 25-year career with the FAA he was awarded numerous awards for outstanding service. Don retired from the FAA and relocated to Coos Bay Oregon in 1991. Don and Julia purchased The Old Tower House in Coos Bay and lovingly restored it. Where they operated a Bed and Breakfast for 11 years. The house is on the National Registry Of Historic Places. 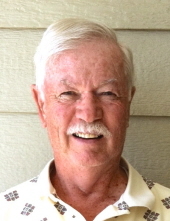 Don won a seat on the Coos Bay city council in 1995 and remained on the council until 2002. Don, Julia and their daughter Deborah built numerous floats for the Coos Bay Fun Day Parade. Their creative floats won many prizes. Travel was a big part of Don’s life. Don and Julia traveled all around the United States and internationally including China, Australia, New Zealand and Most of Europe. These were wonderful adventures for them and their family. Don and Julia missed the California sunshine and headed to Lake County California in 2002. Clear Lake had been a favorite family vacation site. Don had Brothers who were living and working in Lake County. Don’s brothers Mel Spangler and Paul Spangler where there to help build there new home. Don’s favorite hobby was building birdhouses and Dons Unique Birds House were his passion. He donated many for charitable caused to help raise funds. Don was a kind and generous man who loved his family, Billy his dog, buttermilk and cornbread. To send flowers or a remembrance gift to the family of Harrel Donald Spangler, please visit our Tribute Store. "Email Address" would like to share the life celebration of Harrel Donald Spangler. Click on the "link" to go to share a favorite memory or leave a condolence message for the family.